Because of its speed, (it roasts way too fast) and produces a very bright flavor profile that I feel is not balanced – I don’t use it. Because I choose to roast with a drum roaster and not a fluid bed – the results from the airgun don’t really provide usable data. The airgun sample roaster works well when traveling to Origin. Being the owner/operator of this small artisan roasting business with my wife as well as the only roaster on staff makes getting away on an extended trip impossible. Then back to finish the samples and start cupping. With Africans like the Kenya Microlots we hold the roasted samples for 36 hours before cupping. 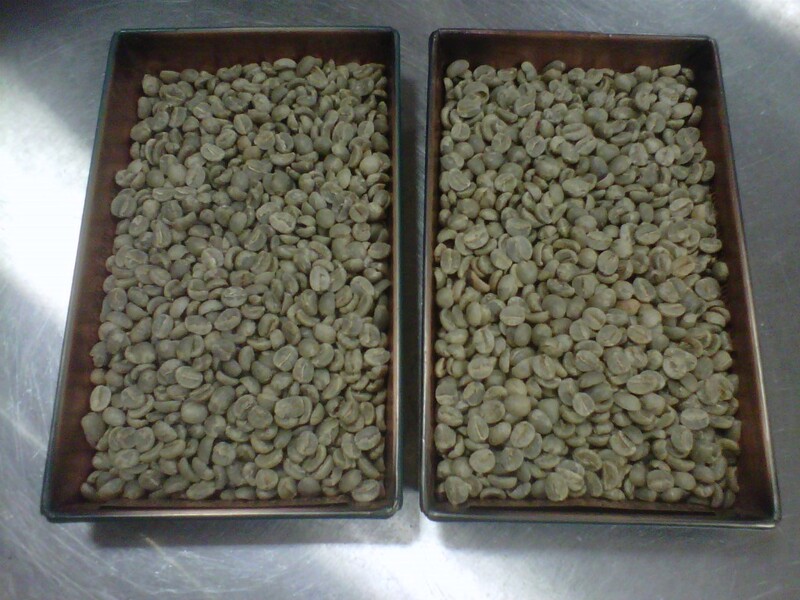 When you are sample roasting in a production machine you get one shot at getting the profile right, just one. It takes 2 lbs of sample weight to get reliable results in my machine – 2 lbs is the max weight that brokers are willing to send as samples – so the preparation for each sample roast has to be well thought out and precise. Density measurements and the altitude the sample was grown – (which will determine the charge temperature as well as any hold temperature in part 1 of the profile) are the first consideration. Next is SHB or HB or low grown. Which basic heat application for part 2 of the process will you use. Airflow changes may or may not be needed depending on your equipment. How will you approach FC is critical. How much heat you carry at the entrance of FC determines how and if the subtle aromatics survive, blossom or are baked off. Finishing off part 3 of the roast to meet your cupping standard for roast color/end temperature is critical. Success in evaluating samples depends on having strict controls in place for both parts of the process – sample roasting AND cupping.